Definition at line 893 of file RegionInfo.h. Definition at line 63 of file RegionInfo.cpp. 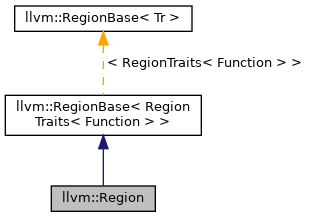 References llvm::RegionInfo::RegionInfo(), ~Region(), and llvm::RegionInfo::~RegionInfo(). Definition at line 899 of file RegionInfo.h.